Besides just sunbathing, snorkeling and swimming, visitors can also enjoy golf, spas, caves, peaks, waterfalls, shops, seafood and nearby national parks. The town is clean, warm and laid-back, making it ideal for families and couples. 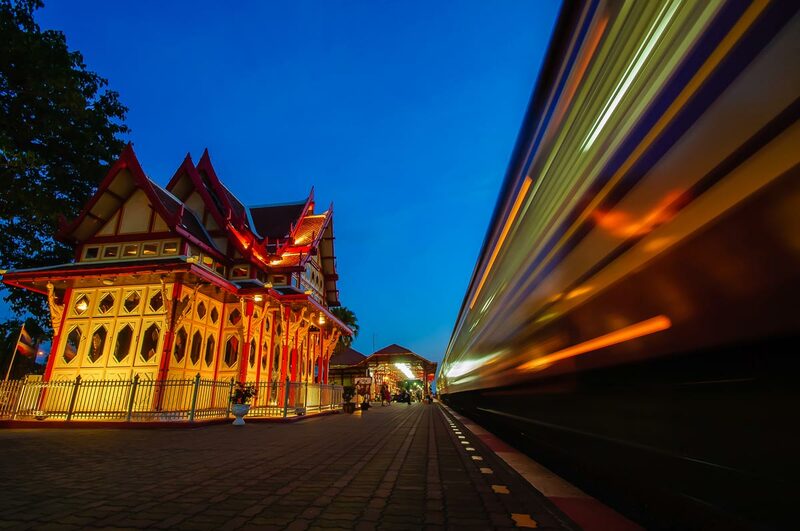 The Railway Station is Hua Hin’s pride. The Royal waiting hall is originally from the Royal Palace in Nakhon Pathom. It was moved to Hua Hin in 1968. The station proper was built in the 1920’s. Khao Takiab village 5 km south of Hua Hin is also known as the Monkey Mountain. On top of the mountain is a temple where you can buy bananas and feed them to wild monkeys, who however are very tame and apt to steal anything you don’t grip tightly enough. There is a nice beach south of the village. Khao Hin Lek Fai Mountain is 3 km west of town. There is a nice park and several view points. Khao Tao, 13 km south of town, is a typical Thai fishing village with a beautiful temple on top of the mountain on the beach. A cosy beach Hat Sai Noi lies on the South side of the village. Pa La-U, 50 km west of Hua Hin by the Burmese border, is known for its 11-step waterfall surrounded by rainforest with many birds and butterflies. There are wild elephants in the area. Wat Huay Mongkol, 18 km west of Hua Hin, was the home of a Buddhist monk called Luang Phor Thuat. The Queen initiated a project for building a gigantic statue of the monk, which was completed in 2004. The temple is nowadays an important attraction which draws busloads of Thai tourists every day. Hua Hin Vineyard, about 30 km west of town, is the only vineyard in the area with beautiful views over the valley from the restaurant. Local wine to be sampled, of course. Maruekhathaiyawan is a Royal summer palace built of teakwood by King Rama VI in the early 1920’s. It is located on army premises (Rama VII Camp) 9 km north of town. The compound is a museum. The Railway Hotel, now the oldest part of the Sofitel Central Hotel, was built by Prince Purachatra in 1921. He was the general Director of the State Railways. The beautifully restored Museum restaurant serves a very British high tea. The garden is well worth a stroll. A few films have bee shot at the hotel, e.g. The Killing Fields by Roland Joffé. Thai Boxing (Muay Thai) is popular everywhere in Thailand. In Hua Hin, matches are organised at the Grand Arena next to the weekend market every Thursday and Sunday. Thai Boxing Garden next to La Grappa restaurant has matches Tuesdays and Fridays. Matches start at nine. Please ask the reception to call you a tuk-tuk. A tuk-tuk back from town costs 100-150 Baht. Tuk-tuk stations are both sides of Hilton and by the clock tower. They can also be flagged down. A pickup van with benches at the back should charge the same as a tuk-tuk. Motorbike taxis are identified by the driver’s yellow vest. If you’re not afraid of the ride, it costs about 50 Baht from town to Evergreen. If you’re going a longer way or have a bigger group, we’ll arrange a taxi or a minibus. The nearest shop is 7-Eleven at the corner of the main street on the right hand side at the PTT gas station. Always open. Night Market. Just before the centre of town off the main road on the right coming from Evergreen. A narrow street where stalls sell everything for tourists. Some restaurants. Popular also among Thai tourists. Scope of bargaining about 50%. Open 6-11. Weekend Market. ”Grand Market”. Wednesday through Sunday. After San Paulo Hospital on the right side of the main street 400 m after the main intersection. Stalls selling everything imaginable. Less scope for bargaining than on the Night Market. Market Village shopping centre. Chic new shopping mall on the main street 1 km after town. Brand name boutiques, Toys are Us and other children’s shops, restaurants, huge TescoLotus, movie theatre, bowling alley, HomePro. Less expensive stuff at stalls outside the shops. Check out the Outlet-shop on third floor for bargains in quality golf shirts. Shoe and bag shops abound at the tourist area opposite Hilton. Opticians abound throughout the centre. A good eye doctor 50 m after Market Village on the same side of the main street. Green cross above the shop. Tailors are everywhere on the tourist area. Our guests have recommended Picasso and Mike&Co shops. Thai Silk Village is located 200 m to the right from Evergreen on the beach road. A silk shop, restaurant and a museum that shows how Thai silk is traditionally made. There’s also a Mike&Co tailor shop at the complex. Hand made shoes and leather clothes are sold in a couple of shops in the centre. Our guests have recommended Freeway Leather across the street from La Grappa restaurant. Old Shopping Mall is located across from the main temple just before the main intersection on the main road. An everyman’s version of the Market Village. Outlet Market is located after Cha Am 40 km north of Hua Hin. Most brand names have their own shops at the complex. A bit pricey for an outlet-centre, but there are good bargains occasionally. A big golf shop. Golf shop 500 m north of the Railway Station along the railway. 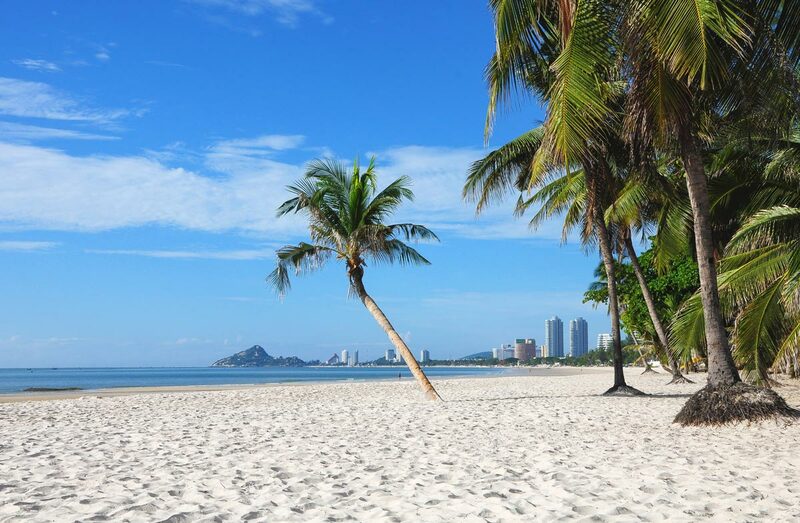 Hua Hin Beach begins in town between Hilton and Sofitel and continues south for 5 km. High season from Christmas through February a bit crowded. Sun chairs for rent, food and drink, souvenirs, horses, jet skis and banana boat rides. Khao Takiab is the next village 5 km south of Hua Hin with beaches both sides of the village. The south side offers the same service as the Hua Hin beach. Suan Son Pradiphat Beach, 8 km south of town, is a tranquil beach lined with pine trees. It’s located inside an army camp and managed by the Army Welfare Office. Sai Noi is a beautiful bay between two mountains behind the Khao Tao village, 15 km south of Hua Hin. Small beach restaurants. Visit the Khao Tao temple on the mountain top. There’s also a footpath down to the beach from the temple. Pak Nam Pran is located about 30 km south of Hua Hin. From the fishing village starts a 10 km beach that ends at the Khao Sam Roi Yot national park. A few hotels and some services along the beach. There are hundreds of places to eat in the centre of town. They are accustomed to tourists, but in local places it’s best to order not spicy (mai phet in Thai) unless you want to burn your mouth. Remember to wash your hands before eating. Food poisonings are extremely rare and eating at a roadside stall is usually quite safe. Still, some common sense is recommended. Avoid fresh salads and the like, as the water used in washing them might give you stomach problems. Generally speaking, a stomach bug can be caught anywhere, as the bacteria are different from what we are used to. The oldest restaurants are on former fishing piers along the Naresdamri Street in the centre of town. The most famous and oldest is the two-story Chao Lay. The pier restaurants are known for seafood but the menus have everything. My favourite on the piers is Ketsarin. 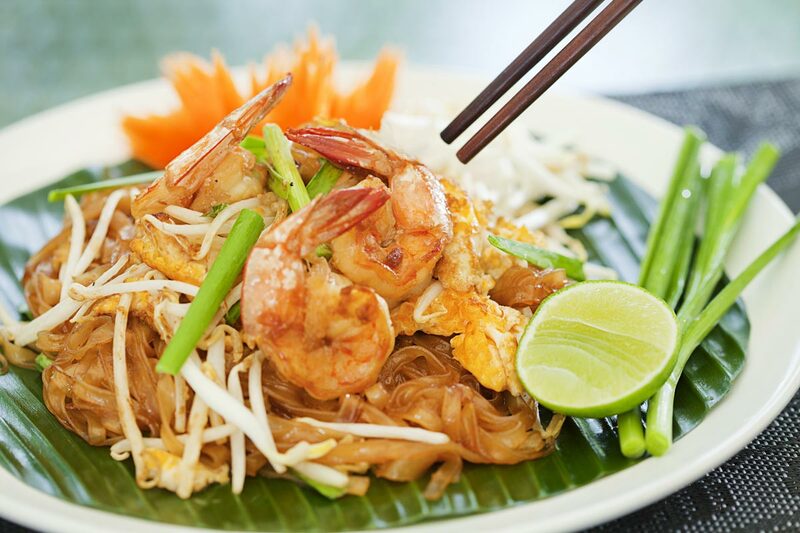 On the same street close to Hilton lies Orchid on both sides of the street serving Thai and European food. Try the Chef’s Salad and Orchid curry made according to the owner’s grandmother’s recipe. Moonsmile, at the end of Soi Bintabaht –barstreet that starts opposite Hilton, is extremely popular – good food at reasonable prices. Next to Evergreen, 50 m to the left along the beach road is the traditional Ban Itsara (House of Freedom), famous even among Bangkokians. 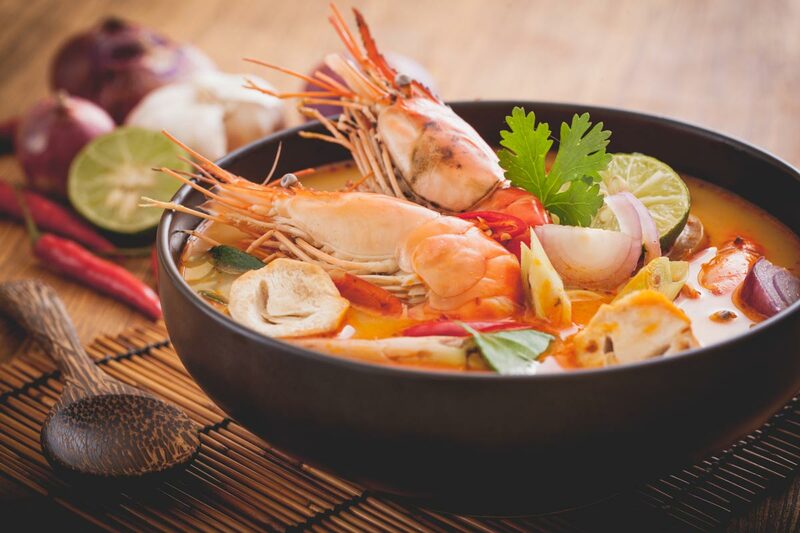 Try the Panang Gung shrimp curry. Also on the beach, 200 m towards the centre from Evergreen, is the more modern Coco51, with good Thai and western food and a nice atmosphere. Both are built in beach houses from the early 20th century with Royal connections. In the same style is the next one on the beach called You Yen (or Hua Hin Balcony). The brave should try local oysters or raw prawns with chilli paste, garlic and roasted onion. Those looking for a more extreme Thai experience can try a place called Lot Fai (no sign in English) next to the railway track about 1km south of the Railway Station. 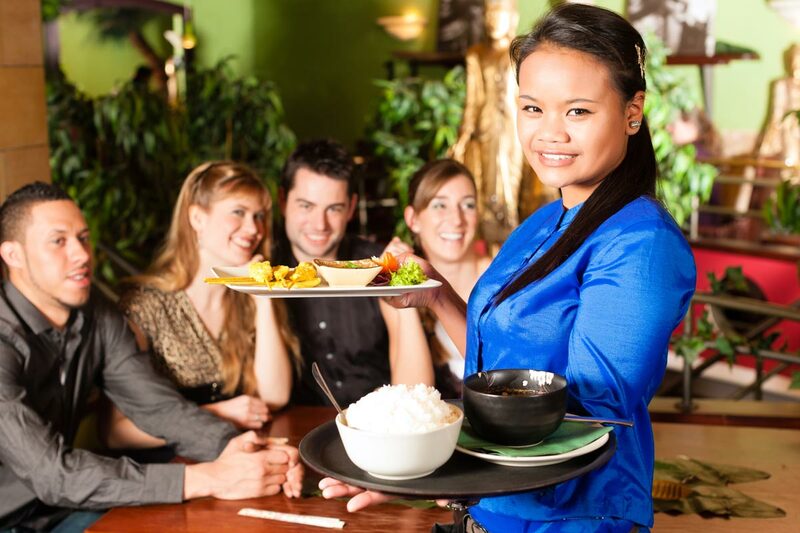 Waitresses carry your food across a heavily trafficked road, trains pass your table at five metres, service is often very slow, and the national dish of Tom Yam Gung is delicious. Try also the Phu Lon, concocted of crabs, pork and coconut milk. And prepare to pay almost nothing for the dinner. At the corner on your left, coming from Evergreen to the main road, is a place called Falling with no sign in English, which stays open until very late. The clientele is eating very authentic Thai food on metal tables. Fortunately they have started printing the menu in English. Indian food can be found on Naresdamri Street in Maharaja or the less pricey and less decorated Taj Mahal. The latter serves a delicious saag paner of cottage cheese and spinach. Italian cuisine is represented by the traditional Lostivale straight opposite the Hilton. Tell the owner Enrico that you stay in Evergreen and he will offer you a grappa and many excuses as the Captain of the Rest-of-the-World team for losing the Evergreen Cup against Finland. Try the “Rigatoni Julio Cesare” made of fillet of beef, cream, curry and brandy. LaGrappa, at the end of the bar street Soi Pintabaht that starts opposite Hilton, is a more modern Italian. Tuna tartar is a must. The previous owner, Luciano. has opened an Italian sports bar with Italian home cooking on Soi 94, on the other side of the railway. Luciano’s place is adequately named Luciano’s. 200 m towards town on Soi 94 is the best Japanese in town, Sakura… Be sure to try the very slightly grilled Tuna Tataki. Other good Italians: MammaMia! close to the fishing harbour on Naresdamri Road and La Villa opposite Burger King. The small Delizie on Sasong Street on the other side of the main road also serves very nice food. French cuisine can be found at the Brassérie de Paris past the pier restaurants on Naresdamri Street. A very chic place with a nice sea view and chic prices. Wine bar is on Sasong Road on the other side of the main road. In Munich Wine & Beer both local and visiting golfers chew the fat before dinner. Don’t forget to ask who won the Evergreen Cup this year to upset the owner Robert who is the vice-captain of the defeatarious Rest-of-the-World team. Cafés are few. There’s Starbucks by the clock tower on the main street and World News Café in the outer wing of the Hilton. Coming out from Evergreen to the beach road, you’ll see the small gate of Khrai Wang across the road. It’s a nice garden on the beach in the courtyard of an old teak house. They serve coffee and cakes. Closes after lunch. 300 m from Evergreen to the right on the main road is The Baguette with good western bread and pastries. They also have a café. Real old-fashioned strong and sweet Thai ice coffee can be found at the end of the beach road at the canteen of the children’s playground, served by a charming old lady. The old Chinese place at the corner of the beach road (Naebkehart) and Dechanuchit Road is famous for their old-fashioned ice coffee and hot pot. Berny’s 19th Hole is located at the karaoke area behind Hilton. 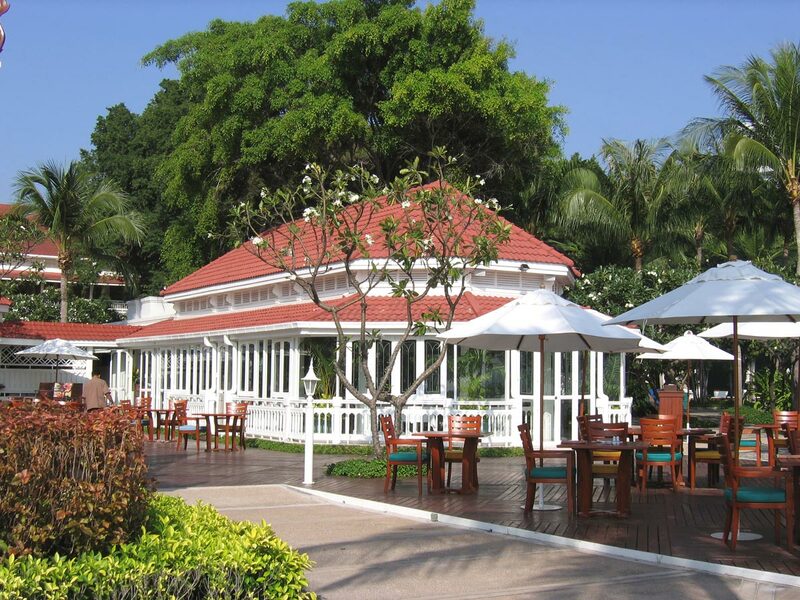 It is the home of Hua Hin Golf Society, and 73-years-old Berny its Captain. Play days are Tuesday and Friday, guests welcome, lists on the wall. Berny’s and the karaoke bars in the area close to Berny’s stay open after the beer bars and the Hilton close at 2 am, often until the sun comes up. The Disco in town is Hilton’s Brewery. It’s crowded from 01-02 when bars have closed. Bangkokians can be found here at weekends listening to a Thai or Filipino band. Local youngsters prefer the Hi4 and Rich Club, featuring popular Thai bands, located about 5 km north of town. Look Nam is a traditional Thai Wild West (sic) place with local bands, 2 km west of town. In the 1830’s, some villagers from the neighbouring Phetchaburi Province left their village because of a draught and arrived at the area we now call Hua Hin. 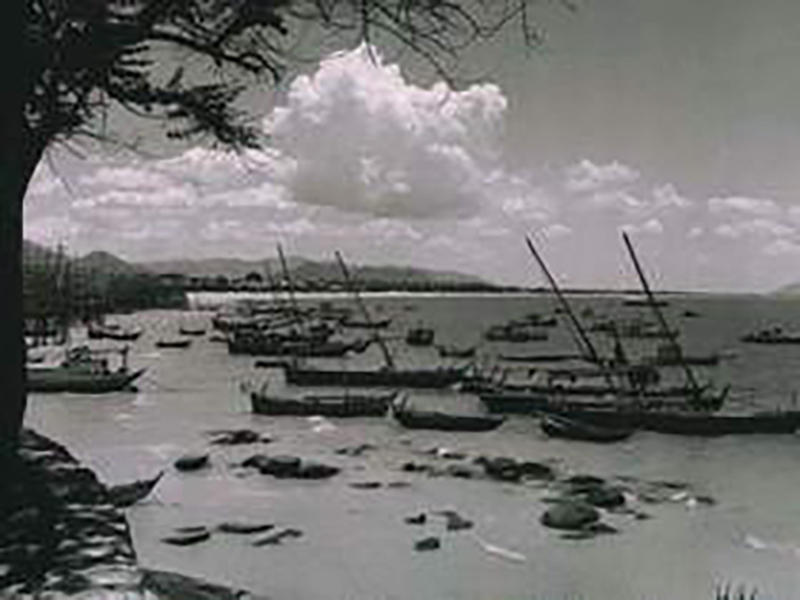 They built a village close to the beach and the present fishing pier at the end of the present Naresdamri Street and called it Samor Riang or “row of boulders”. This part of town is still called Smoriang by elder Huahinians. In the late 19th century, Prince Chakrabhongse organised a hunting party for a group of Russian nobles in this area and fell in love with the place. He came back and built a beach villa outside the Samor Riang village, close to where the Hilton stands now. 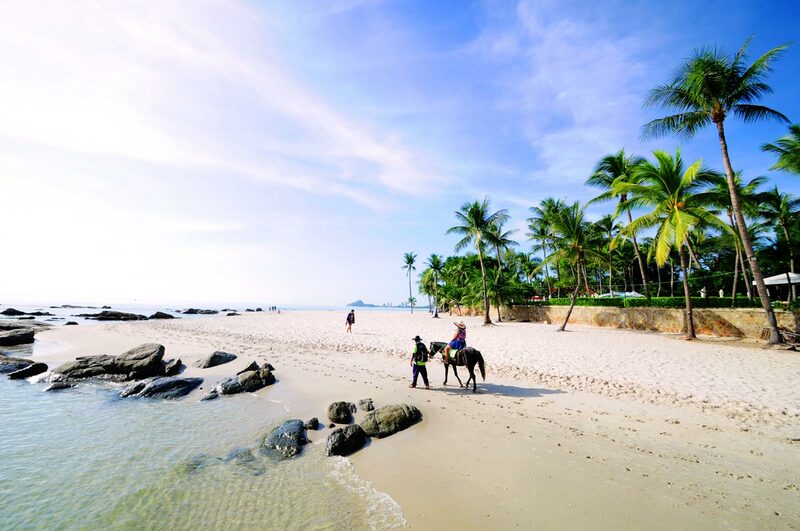 In 1911, at Prince Chakrabhongse’s initiative, the name of the village was changed to Hua Hin or “Stone Head” which referred to large rock outcroppings scattered along the beach off his villa. Other Princes and nobles followed suite and built their villas along the beach. Hua Hin’s position as the first Thai beach leisure town originates in these beach villas built by Thai nobility in order to spend the summer months away from Bangkok in Hua Hin’s cooler climate since the early 20th century. 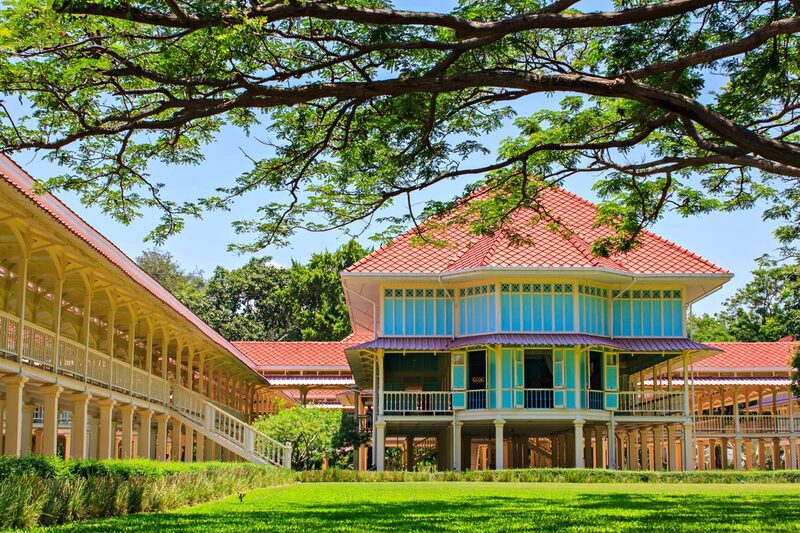 King Rama VI built the Maruekhathaiyawan or “Royal House of Love and Hope” summer palace to the north of the village in 1922 at his physician-in-ordinary’s advice. The Palace is nowadays a museum. Soon the Hua Hin beach was filled with Thai nobility’s villas, as they wanted to reside close to the King also in the summer months. Some of these villas are now restaurants, e.g. Baan Itsara, Duke’s and You Yen. The next king, Rama VII, built his summer palace closer to the town. The Palace was named Klaikangwon or “Far from Worries” and was completed in 1929. It is located on the beach 400 metres north of Evergreen. Today, the King of Thailand Rama IX, or His Majesty Bhumibol Adulyadej, uses the Klaikangwon Palace as his main residence. 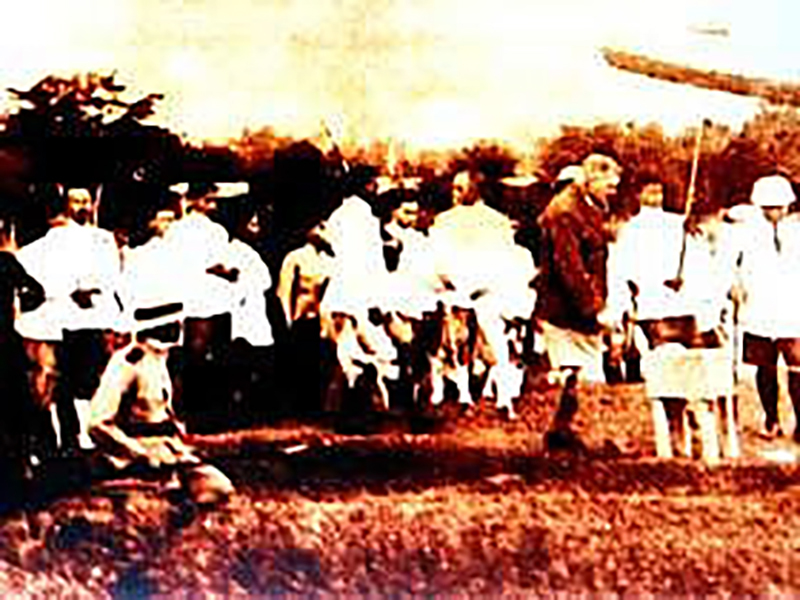 In 1921, the General Director of the Thai Royal State Railway, Prince Purachatra, commissioned a new luxurious hotel next to Prince Chakrabhongse’s villa. The Railway Hotel now forms the oldest part of the Sofitel Central Hotel. Hardly by coincidence, at the same time the railway connection to the south of Thailand and later all the way to Singapore was opened. This provided the Railway Hotel with a steady stream of customers, as train travellers in those days travelled during the day and slept in a hotel. The Railway Hotel conveniently happened to be a day’s train travel from Bangkok. Roughly at the same time, King Rama VI commissioned road maintenance engineer A. O. Robins to build a golf course on the railway company’s land opposite the railway station. 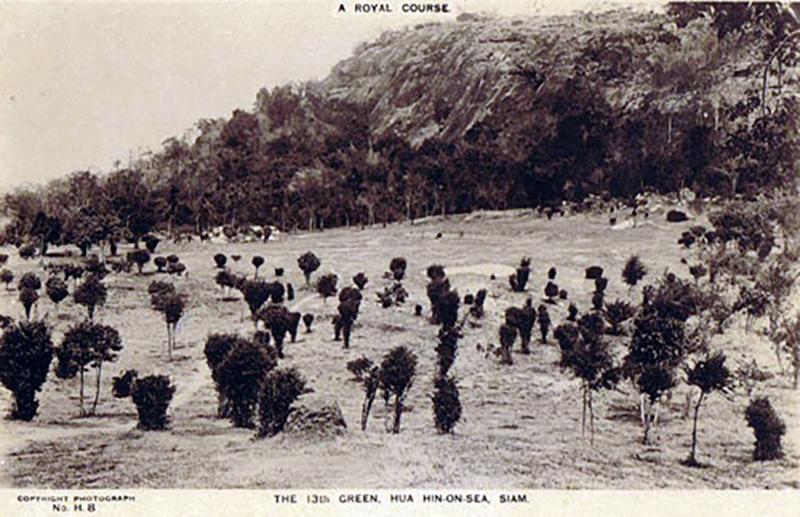 Thailand’s first golf course, named Royal Hua Hin, or Royal Hua Hin-by-the-sea in some sources, was completed in 1922 just in time for the Railway Hotel’s opening. 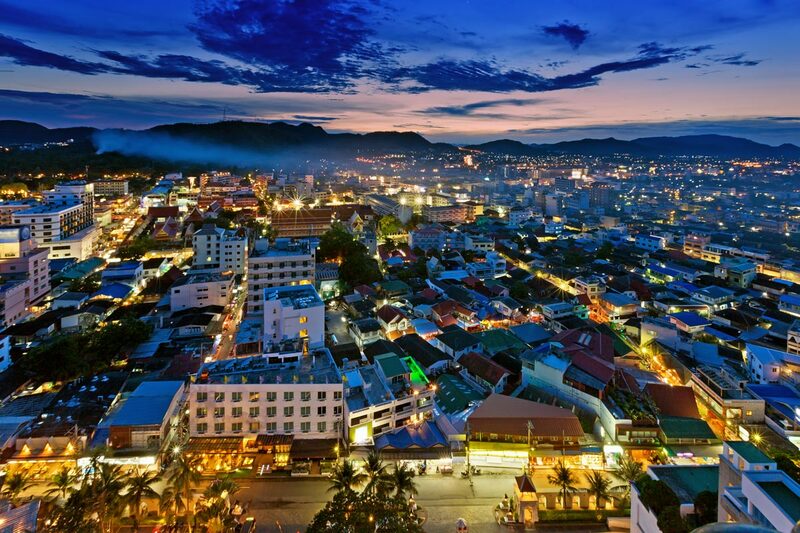 ”Hua Hin, a seaside resort, is soon reached and if one has the time it should be favoured with a visit. The sea is some 10 minutes quiet walk from the railway station, and situated right on the beach are furnished bungalows which can be rented by applying to the Traffic Superintendent at Bangkok. Here, in addition to excellent sea bathing, one may shoot leopards, deer, hares and doves, but except for the latter, guides and permits must be obtained. 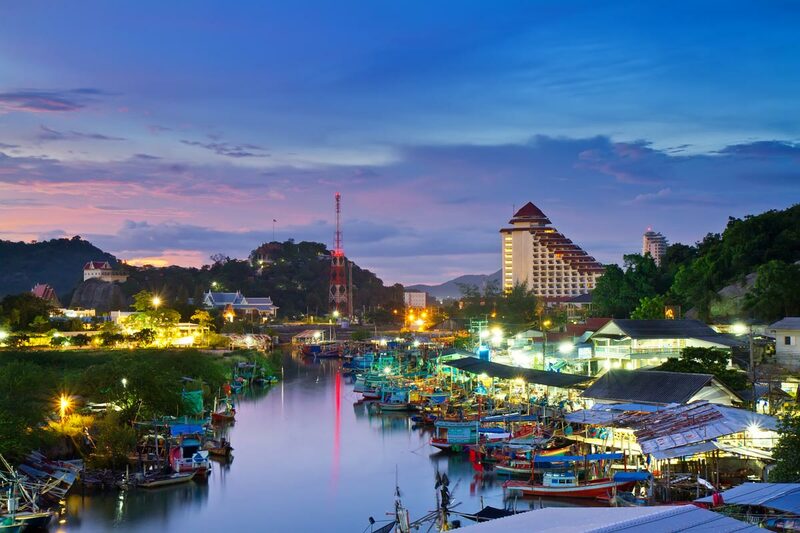 For most of the 20th century, Hua Hin remained a sleepy fishing town, coloured by the resident nobility, especially during the summer months, and the visiting wealthy travellers and the jet set in the latter half of the century. In the 1990’s, Hua Hin started to emerge on the world tourist map, as big hotels and golf courses started being built. Melia Hotel, the present Hilton, rose to dominate the town view in 1993. The same year, the Springfield Royal and Imperial Lake View golf courses were opened, while the Palm Hills course was finished already in 1991. The Asian Crisis at the end of the 1990’s put a stop to development, which started again in the early 2000’s. 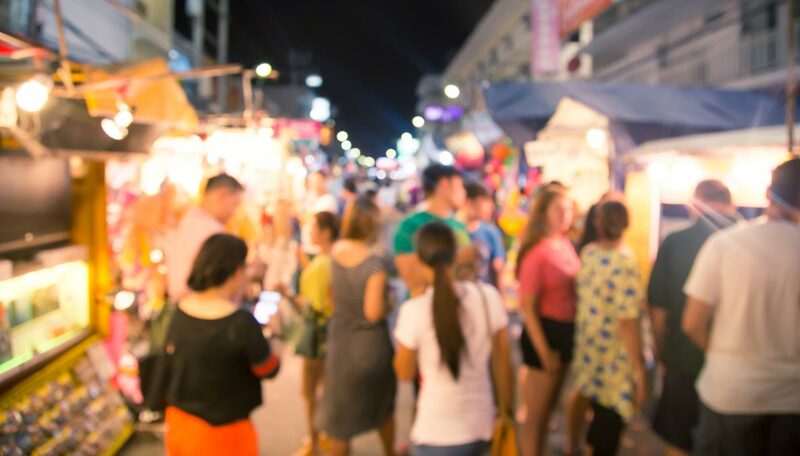 Hua Hin and its vicinities have seen the rise, and sometimes the fall, of a great number of housing developments and hotels aimed at the European market. The building of two new golf courses (Black Mountain 2007 and Banyan 2008) fed the building boom, which then got hit by the latest worldwide recession. At the moment, the new Hotel Inter-Continental is starting to get shape, and work has begun on the next golf course, just 5 km south of town next to the beach, giving new hope to developers. Also, the town’s infrastructure is getting some long-awaited investment, hopefully before the traffic and water problems become unmanageable. 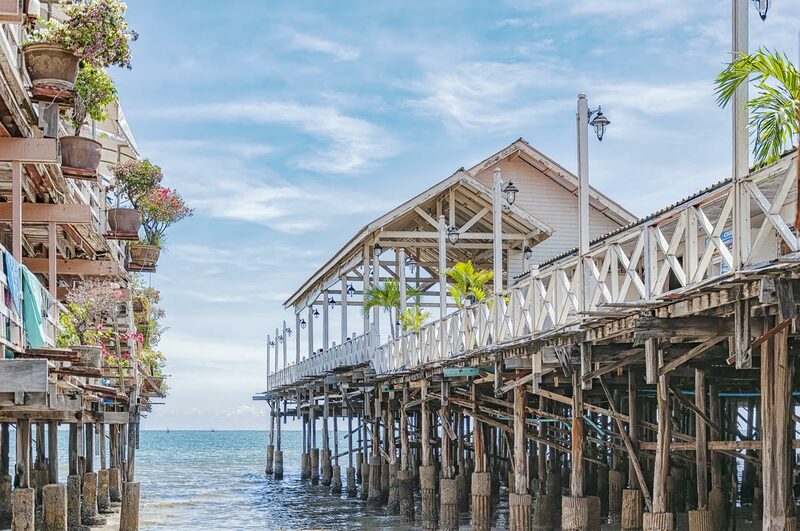 Even though the change in Hua Hin during the last decade has been vast and fast, the place still has a lot of its old-time fishing village charm and Royal connections left. The famous Thai hospitality and joie de vivre are still genuine. Walking in the town, you can still see glimpses of the traditional Thai way of living, which in destinations like Pattaya and Phuket is all but dead and buried.